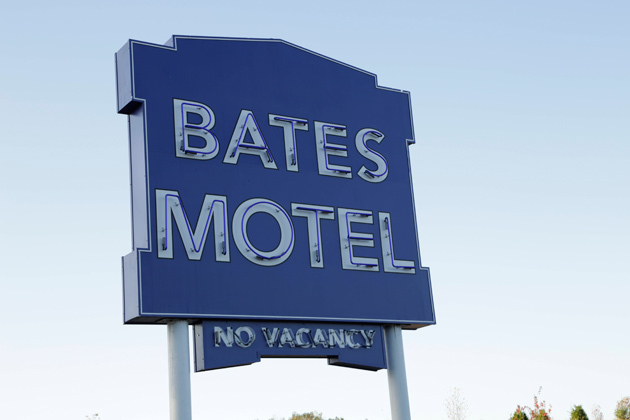 Who is Norman Bates? 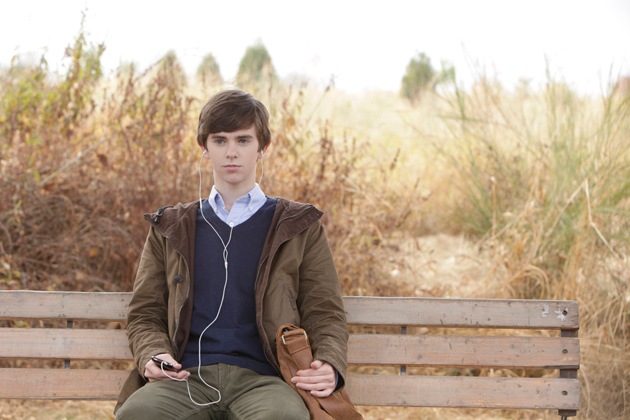 That’s the question raised by the new series “The Bates Motel,” which made its debut on March 18. 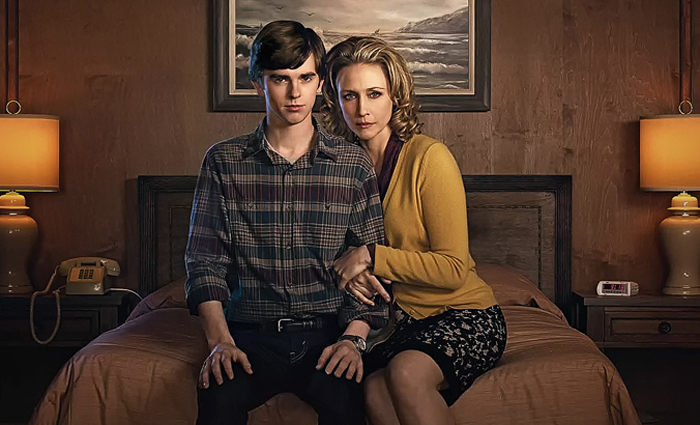 Pitched as a prequel to “Psycho,” the show stars a 17-year-old Norman, played by Freddie Highmore, as he and his mother (Vera Farmiga) try to restart their lives together after the sudden death of his father. “TBM” tries to play things both ways: Yes, it is a prequel to a movie that’s over a half century old, but Norman has a smart phone and is lured to a party where teenagers smoke pot and drink beer. Yet there’s something old fashioned—and creepy—about the little town where Norman and Norma make their new home. The local law is a sheriff (played by “Lost” alum Nestor Carbonell), and, outside of the school, the town looks quaint, even sleepy, in a Bodega Bay kind of way. The show wastes no time in revealing its threats and mysteries. After buying the defunct Seaside Motel for a song, along with the gothic house behind it, the property’s former owner comes calling, and he is not happy to find the new folks settling in. In the show’s most jarring moment, that former owner returns and brutally attacks Norma (really, did it have to be that violent? ), setting in motion events that reveal the first of the motel’s dark secrets. It’s clear that the show’s creators are building a deep mythology here. Norman’s mother is demanding and intent on isolating her son from his new friends, but the bizarre item Norman finds in one of the hotel rooms shows that his young psyche will be warped by more than just his mother. Norman longs to find friends, and is quickly accepted by a bevy of teenage girls who give him a ride to school and invite him to a party. There’s a refreshing lack of bullying in this episode: At school, when Norman throws up, a group of jocks laugh at him until one who met Norman at the party tells them to lay off. Another girl who befriends Norman hints at the strangeness that’s to come: She has cystic fibrosis, wears an oxygen tube under her nose and has a quirky fashion sense, all of which scream that she is a better match for Norman than any of the pretty people he’s met so far. Of course, as a Hitchcock fan, I couldn’t watch the episode without comparing it to “Psycho.” The people behind the series, including Executive Producer Carlton Cuse, have taken fewer liberties with Alfred Hitchcock’s “Psycho” than Hitchcock took with Robert Bloch’s novel. And as much as I love the original film, it’s probably good thing that the TV series is finding its own way rather than remaining faithful to the movie. The main difference in story detail that I noticed was that Mrs. Bates purchased the Seaside Hotel, while in the movie Norman explains that her boyfriend had talked her into building it. And in the TV show, Norman and his mother have to row a boat into a bay to dispose of some incriminating evidence rather than using the marsh behind the motel from the movie—although it could be that they just haven’t discovered it yet. “The Bates Motel” gets off to a strong start, full of the kind of darkness and violence you’d expect from a modern take on a horror classic. I’ll look forward to seeing where it goes once it finds a better balance between creepiness and violence.